Monday Greetings to you from Kate! 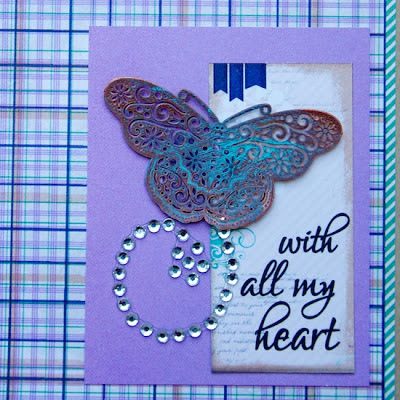 I'm here today to share a video tutorial with you how you can create a five minute card with a faux patina on a metal embellishment using our Quick Quotes PowderPuff Chalk Ink. I know you are thinking, "no way!" Well, I am here to show you that yes, it certainly is possible. 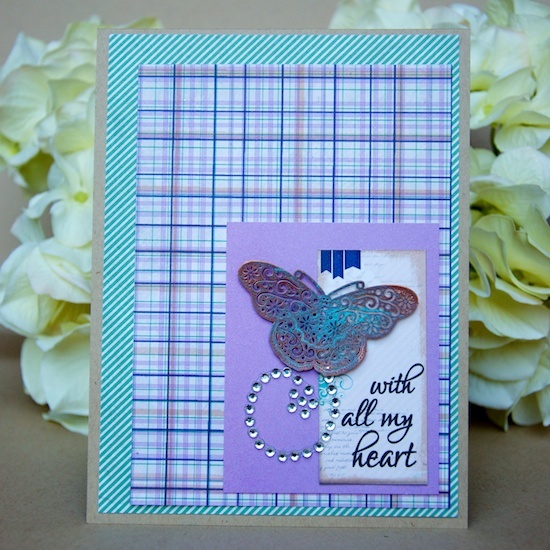 So the next time you need to whip up a pretty card in just a few minutes, grab one of Quick Quotes fantastic 6"x6" paper pads and some PowderPuff Chalking Ink. These products sure do make it easy! Thanks so much for stopping on over to visit us here today on the blog! Have a fabulous day! Always like to see more ways to use the chalking inks. Great technique Kate, I can't wait to try it! It is hard to believe that you can make this stunning card so quickly! Thanks for the video!